Friendly Locksmith Manchester if you’re locked out 24 hours a day, 7 days a week. Access any door 24 hours a day. Rapid Service – between 10 and 40 min. With many years experience in the Locksmith Manchester area and happy to provide advice and free quotes as part of our clear pricing and friendly customer service. Call anytime day or night for all unlocking, fitting and emergency lock work. 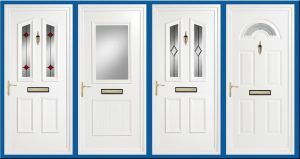 All UPVC door repairs at your convenience. So for your home security, we like many locksmith Manchester home security installers highly recommend cultivating good relationships with those who live close to you. 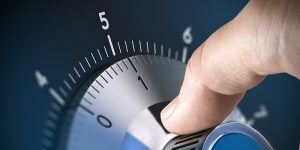 Locksmith Manchester are your number one for fast response locksmith services if and when you need them at any time on any date with fast response times professional, comprehensive services that you can call out at your leisure. Locksmith Manchester are here for you when you need a locksmith, either when you’re locked out or when you’ve been let down by another business. You can always rely on locksmith Manchester to supply the very best and most professional finishes to our work. 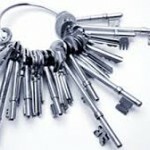 Locksmith Manchester are also open 24/7 365 days of the year and are available right now or at a later time to suit you. 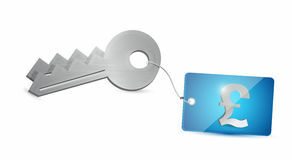 Locksmith Manchester doesn’t charge call out fees and we also don’t charge VAT on any of our services. Locked out in the Manchester or surrounding areas? Need assistance either right away or at a later time to suit your busy schedule? Look no further than locksmith Manchester, we’re your local one stop shop for all locksmith services in the Manchester and surrounding areas. We provide 24/7 coverage and with over 20 years experience you’ll know you’re in safe hands with locksmith Manchester. Call today and you won’t pay a single penny in call out charges and you won’t pay a single penny in VAT either. That offer extends across all of our services at all time and all dates. Call now and speak to one of our trained office advisors about all of the amazing services we offer to your home and your business, and all of the not so amazing lock problems we can fix for you. Locksmith Manchester is your local reliable locksmith with all the tools to make sure the job gets done, and gets done right. Locksmith Manchester are competitive on price and won’t over charge you for parts. Call now and see if we can help you, today! 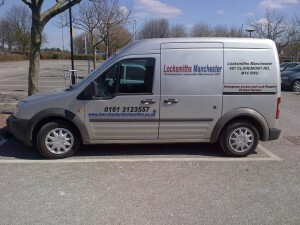 Locksmith Manchester is your local fast response locksmith for the Manchester and surrounding areas. With no call out charge and a 24/7 365 day a year professional, comprehensive locksmith service whether emergency or non emergency. What’s more is that we don’t charge VAT on any of our services so no matter the price given to you by our locksmith Manchester office advisors that’s what you’ll pay. Our trained office advisors who are also on hand 24/7 to take your calls and provide solutions to you lock troubles. Call now and speak to one of the professionals at locksmith Manchester about all the amazing services we offer for now or a later time to suit you. Locksmith Manchester are here for if and when you need us most with the competitively priced services you need! Here at locksmith Manchester we’re dedicated to providing the best locksmith services possible 24/7 365 days of the year for you at home or at the workplace if and when you need them. Locksmith Manchester is number one for reliability and quality of work and with over 20 years experience and all the tools and skills to make any lock troubles you may be having a thing of the past, today. You’d be crazy to go anywhere else. Call now and speak to one of our trained advisors. When you call in you can ask us anything and we’ll try and help you as best we can. Ask our trained advisors about things like the amazing range of services we provide. Our availability to provide those services. and most importantly how much we charge to provide those services. What’s more is if you call today we won’t make you pay a single penny in VAT and you also won’t pay a single penny in call out fees. Just one of the many ways we keep our costs as low and as competitive as possible. Call now and speak to one of our professional office adviosrs about any lock troubles you may be having today. And we’ll see if we can’t help you out by getting rid of those lock troubles for you. Whether commercial, residential, or industrial, whether lock changes, entry gaining, or even new lock installations. Locksmith Manchester have got you covered. Call today and see if we can’t help you out today as well. Locksmith Manchester are here for you. No room for delay, as there are no good reasons to keep yourself from the security you deserve today. Safety and security in our homes is one of the most valuable declarations of the great society we live in today. Of course no state can protect all their citizens as of yet, but locksmith Manchester keep optimism and hope for the future, and of course also provides home security which is affordable to those who can afford a house. The simplicity of upgrading your security with a highly skilled and talented locksmith Manchester is covered in one simple step. Phone the number above, and all your security issues will be resolved quickly and at affordable prices. Remembering that securing your home and your own investments is one of the smartest things you can do, whilst leaving it open to risk and attack is perhaps one of the most ignorant things you can do. Those less fortunate who degrade into a life of stealing need to be kept out and away, and your locksmith Manchester team knows how to show them they are not welcome, to show them that they are not to try and interfere with the in some cases hard earned wealth of others. High security systems are available which include monitoring, notification and other wireless features at a locksmith Manchester, and installation is fast and easy, especially seen from the perspective of the customer. 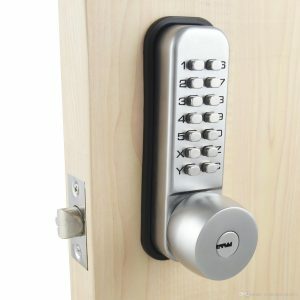 The security questions you can or don’t want to take the time to find the answer for yourself are all welcome at the locksmith Manchester workshop, and informing, educating and helping you keep secure is a pleasure for the staff. Locksmith Manchester is your local one stop shop for all locksmith services whether emergency or non emergency locksmith Manchester will always be around to lend a helping hand and make any lock troubles you might be having a thing of the past, today! With a great range of services and really fast response times you’d be forgiven for thinking locksmith Manchester charges a premium rate for these services but in fact our prices are as competitive as they can be. Don’t call any locksmith, call locksmith Manchester! When you speak to our locksmith Manchester advisors today you won’t pay any call out fee and you won’t pay any VAT either, just one of the many ways we keep the cost of our services down for our customers. Got a lock problem in Manchester? Call locksmith Manchester now! 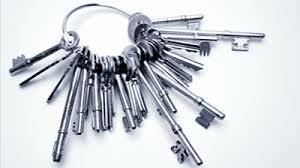 Here at locksmith Manchester we deal with all sorts of issues to do with all sorts of locks and keys. We’re dedicated to providing the best locksmith services we can possibly provide for you at home or at the workplace. Call us today and speak to one of our trained office advisors about all the great services we offer and all the fantastic rates we have on those services. And just when you thought our prices couldn’t get any more competitive add on the fact we don’t charge call out fees or VAT, locksmith Manchester should be the top of your list when you require a locksmith. Whether you’re in the home or at work, we’re never more than a phone call away from supplying you with the locksmith services you need when you need them. Call us today and speak to one of our trained office advisors today about all the fantastic services we offer and the fantastic rates we offer on those services, with no call out charge or VAT payable. Call now. With over 20 years experience and all the tools and skills needed to get you out of any tight scrape or emergency or non emergency locksmith situation whether you need someone right away or at a time to suit you. Call us now and speak to one of our trained advisors who isn’t a salesperson trying to sell you services you don’t need, but rather our advisors are here to provide information on the services we offer. Call now and speak to a professional today! 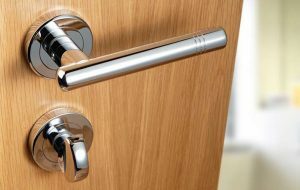 Here at locksmith Manchester we deal with all sorts of different types of locks and doors and provide all the different services that you might expect from a locksmith and more. 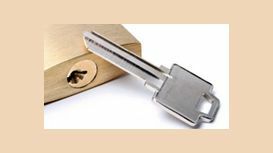 Locksmith Manchester has over 20 years experience and can come and sort you out in a lock out situation quickly, and professionally. Locksmith Manchester will come to you with fast response times, no VAT and no call out charge today or as and when you need us to. Locksmith Manchester don’t just provide lock out services as locksmith Manchester can also replace locks and other parts of doors, or even install new locks to both internal and external doors. 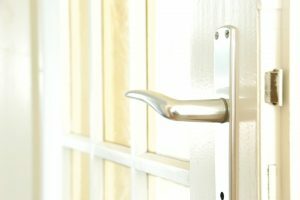 Locksmith Manchester is dedicated to providing locksmith services for the whole of the Manchester and surrounding areas and you can call us any time and speak to one of our trained advisors about the services we offer and when we’ll next be available to come and fix whatever lock issues you may be having. Locksmith Manchester won’t make you speak to any automated messages or any un trained office staff and certainly would never pass you around the office waiting for the right person to become available. Here at locksmith Manchester we deal with all sorts of locks, keys, and different material doors that it would be hard to tell what we’ll have to face during the day. It’s this randomness that makes our jobs a lot more interesting than your average 9 to 5 but also it can throw up some issues from time to time. Here at locksmith Manchester we focus on simplicity and speed, but because most of the locks that we deal with are generally the same the simplicity element can fail us when we find there are more specialist locks on the door than we were anticipating. So we don’t just pack up our things and go, we can fit locks of many shape or size it’s just about getting the locks. The most common time we face this problem is with Upvc door locks, usually we find Upvc doors with the euro cylinders found on them, usually these euro cylinders are ice cream cone shaped or light bulb shaped if you prefer, but that doesn’t mean you can’t get different shapes. The most common type of uncommon shaped euro cylinder is the oval shaped cylinder and these can be hard to spot with an untrained eye. The oval cylinders are a little more expensive than the usual ones however they don’t add any added security to your door as the difference between the two is all aesthetic and for the looks of the lock rather than a better design. Call today and we can sort your locks out for you no matter what type or shape of lock they are. Call locksmith Manchester today. Locksmith Manchester deal with all sorts of jobs every day from mortise locks to yale night latches to lock outs to replacements, we’ve got you covered for the lot. There’s one service that is one of the lesser requested services but one of the hardest to perform. And that service is known as a new lock installation, these are trickier than your average lock replacements because where as in a lock replacement you have the old lock to remove and the new one to put in it’s place, new lock installations require our locksmith Manchester team to carve and drill the lock into place themselves. Locksmith Manchester has over 20 years experience and here at locksmith Manchester we make it count, every day we face new challenges but every day we face old friends we’ve been dealing with from the start so we value all of our experiences. Locksmith Manchester aims to create a fast easy to use streamlined service that puts your mind at ease when you use our services. From the locksmiths who are so quick to get out to you in an emergency, all the way through to our trained office staff who take your call when you phone our lines, and who also can send someone on their way to you with just a few minutes and a few details. Locksmith Manchester is happy to offer our services to all people in the Manchester and surrounding areas, just call us today and speak to one of our trained office staff about any of our services and any of our prices, we’re open with you so you can feel at ease when you use, Manchester locksmiths, call today! Do I need to get a 5 lever mortise lock? 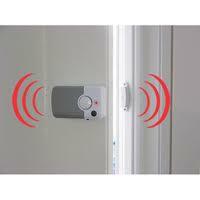 To keep secure at home or anywhere else where there is a lockable door. We warmly advise that you do need to get a 5 lever mortise lock. It will add to your door security, and in many cases help bring you up to date with any insurance policy that you have taken out. Read more about insurance claim security requirements here. 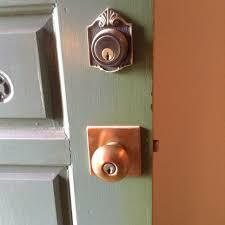 What is meant by the term mortise is that the lock is set inside of the door. As opposed to a regular latch lock, or night latch lock as they are sometimes referred to. The type that is mounted on the surface of the door. 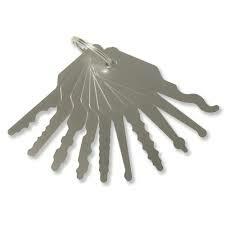 5 leavers refer to the pins which your key needs to lift to be able to turn. You need to get a 5 lever mortise lock for your door as they are very hard to pick. It takes a skilled locksmith to do it, one with years of training and current practice. As an addition to a latch lock of the regular type. A 5 lever mortise lock is a great companion. The latch lock will provide temporary security though your day to day. Taking out the garbage and hanging the laundry are some examples. 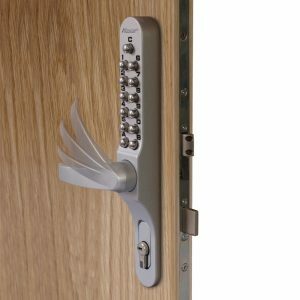 Whilst the mortise provides the additional security you need for your door whilst you are away. Should the key turn be showing resistance or if you notice a change in your current lock. Make sure to contact a local locksmith professional for maintenance and lock changes. A 5 lever mortise lock is susceptible to wear and tear, and increased difficulty opening the lock is a symptom of a lock that needs to be changed. Plus, getting a new lock fitted is cheaper, faster and comes with less stress than arriving home. Finding that your 5 lever mortise lock has become stuck. Which is a much larger, more expensive and more annoying issue to resolve. 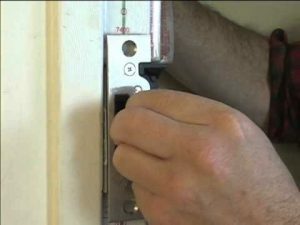 Here at locksmith Manchester we deal with a load of different situations from lock outs to lock replacements, to even the occasional new lock installation, and that’s not the only thing we have to deal with, locksmith Manchester also has to deal with those different jobs and those different jobs on different doors, different locks, and different keys. 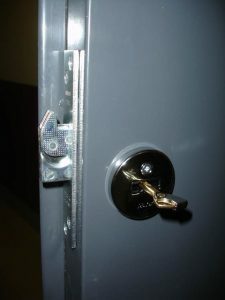 One of the lesser common locks that we deal with that doesn’t even require a key is known as the mechanical code lock, these locks are usually found on office buildings. Locksmith Manchester can fit, install, repair, and replace your mechanical code lock today and even supply the mechanical code lock for you if you haven’t already got one. Mechanical code locks work by presenting the user with a series of buttons and on those buttons are letters and numbers. To use the handle on the lock to open the bolt and the door you must enter the right code into the lock thus releasing the handle. Too many or too few buttons pressed and the door won’t open, if you enter the wrong button you’ll have to press the cancel button and start the correct code over again. Call locksmith Manchester toady and speak to one of our trained advisors and see about what we can do with your office, if you’d like to discuss how a locksmith Manchester mechanical code lock installation in your office could potentially save you a fortune on keys then don’t hesitate to call us up to discuss your options and when we can do that for you. Locksmith Manchester are always here and waiting for your call. Call today! Here at locksmith Manchester we deal with lot’s and lot’s of different types of locks, keys, and materials of doors every single day! 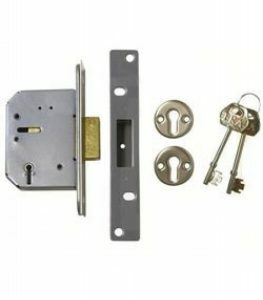 That means locksmith Manchester have to be on their toes every day and ready to face any type of lock or lock out that comes, that’s why Locksmith Manchester carry all parts for most types of Upvc doors, that includes anti snap and anti pick euro cylinders, and most types of Upvc multi point locking mechanisms. Even if you don’t come to us here at locksmith Manchester be careful that the locksmith you choose is using anti snap locks at least. Locksmith Manchester think this is important because if you don’t have at least anti snap locks on your upvc door, this could mean you are highly susceptible to break ins through a very easy method called lock snapping. Lock snapping is a method used by crooks to utilize a weak point in euro cylinders, with anti-snap euro cylinders this isn’t a concern! Locksmith Manchester are upvc door specialists which means we don’t just carry anti snap euro cylinders, locksmith Manchester also carry mechanisms and other upvc door parts. Locksmith Manchester, our prices are competitive and locksmith Manchester will get to you very quick in a lock out situation. So call today, and see what Locksmith Manchester can do for you and your Upvc doors! 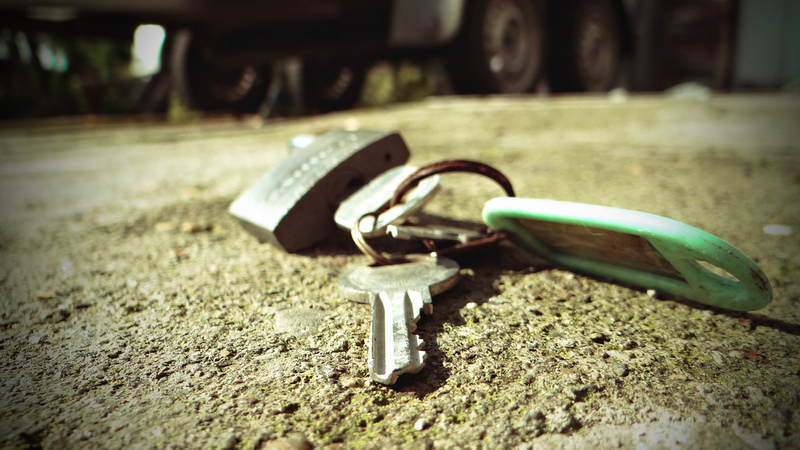 Here at Manchester locksmiths, we know what it’s like when you find yourself locked out, or you lose your keys, and it can be an even bigger pain to find someone local to you who’s available and can get you in and not take all day about it. Well if you live in Manchester or the surrounding areas, you don’t have to worry about that at all, in fact we’re so confident that our 20 years experience will get us in, we’ll take a job even if you can’t fully describe the lock to us. Here at locksmith Manchester we remove the pain of finding a locksmith, just save us into your phone and we’ll be there for you whenever you need us. 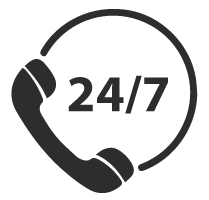 Our response times are fast and we work 24/7 around the clock 365 days of the year, that way you’ll know we’ll always be around to help you out when you need locksmith services. We rain all of our staff to our insanely high standards before allowing them out on jobs, this lets you feel a sense of comfort knowing that you’re being sent someone who is perfectly capable of a great job, not only do we train our staff before letting them out on a job but before someone can even join our team we heavily vet and fully CRB check all of our staff. So you know that not only are you being sent someone who knows how to do the job, but also someone who is trust worthy. Call us today and we’ll send someone out to your lock out in a matter of minutes from your first call if that’s what you require from us. We won’t make yo speak to automated messages or put you on hold for half a day waiting to speak to the right person, because at locksmith Manchester, their isn’t a wrong person! Call us now, and see what we can do for you, today! Night latches – Night latches are often referred to as yale locks but yale is just the most common brand of night latch, even though they make other types of locks too. Yale locks are usually found as second front door locks, and in flat and apartment buildings to ensure people can get out any time in an emergency. Night latches have a handle to unlock on the inside and a key for the outside. Mortise Locks – Mortise locks are the most stubborn type of locks out of the three, but they also need to be, their the main choice for wooden front doors and the British standard that they are held up to states that this lock can’t be unlocked with out the key. That means both inside and outside need a key. The key is often a long L shaped key. 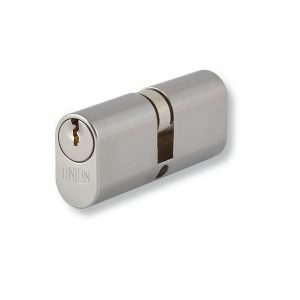 Euro Cylinder – A euro cylinder is most commonly found on a Upvc door and they are the most prone to burglary, with burglars inventing lots of methods to defeat these locks over the years, this lock can either be unlocked by a key from both side or a key for the outside and a thumb tab for the inside. Small flat keys are the ones used for these. To discuss our locks and the brands that we use, or to book any lock changes on the above mentioned locks or any other type of lock for that matter, just give us a call and speak to one of our friendly trained office staff who’ll be happy to deal with any queries you may have. As a professional locksmith Manchester, our team of expert lock technicians see a lot during the day on the job. Working on a variety of situations from routine installations to emergency repair work and re-entry. However, our team can say that without doubt one of the most rewarding experiences is being there for new homeowners when they move into their new property. The joy that comes with owning your first property cannot be told. Yet it’s worth remembering that with all the jubilation, it’s important that new homeowners don’t renege on the importance of maintaining and securing their home. When moving into a new property, the first thing that anyone should do, every single time without fail, is call a locksmith Manchester to have the locks changed. This may seem an unnecessary burden, but the fact remains that it is unclear exactly who may still have access to your property. 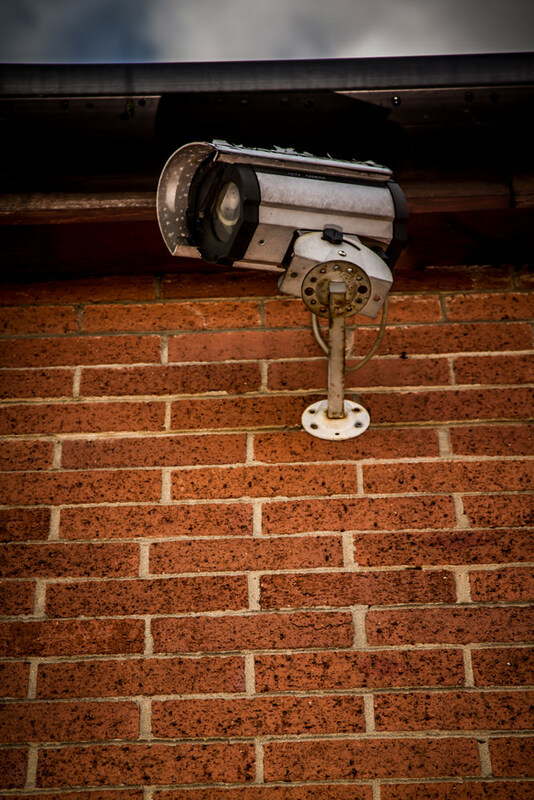 We believe in the importance of protecting and securing properties which is why we always impart the view that taking extra precautions is important. By changing your locks you then have total control over your security and can rest safe in the knowledge of knowing exactly who has access to your property. Lock changes could be carried out yourself, but the risks of such work far outweigh the benefits. Your locksmith Manchester will always recommend steering away from such a decision unless you’re a trained professional or have enough experience. The reason is that the risks associated with a faulty installation are simply not worth taking. Instead, by employing the services of a reputable locksmith Manchester who can carry out such work at a reasonable prices, you negate any risk and save any associated stress. If you would like to find out more about the extent of services offered by locksmith Manchester to new homeowners, simply call our helpful team at a time convenient to you. Here at locksmith Manchester as you can imagine, we take home security very seriously, and would encourage others to do the same. Not a lot of people who own burglar alarms actually use them religiously. A recent study by Which? suggested that when asking people who used their burglar alarms how many had actually encountered a burglary or an attempted burglary. 7% of people asked said they had and a further one in ten of those 7% said they’d been targeted more than once. We think it’s of paramount importance to have a back up plan when your locks fail to keep someone out, and would recommend a burglar alarm as one of the best back up plans to have at your disposal. So there are two main types of system, firstly there’s the stand alone system that does what it say son the tin so to speak, and makes a loud sound when triggered which is designed to notify your neighbors of a burglary taking place and it’s then on them to call the police. Useful for people living on estates with lots of neighbors near by. The second type of system is a monitored system, and while being a little more expensive, this system is state of the art. The owner pays a security company who then monitor your alarm and notify police straight away if triggered. This is great for people who don’t have neighbors in a close proximity, or people who are more at risk of being burgled. Here at Locksmith Manchester we have a serious responsibility to use he right locks when we replace locks for our customers, in fact if we didn’t use the right locks and you were to get burgled , there’s a good chance your insurance company would turn around and refuse to pay. The standards the locks have to meet are called the British Standard, this means that the locks have been rigorously put through their paces by a number of tests which determine if they are up to scratch and safe for consumption from the public, the tests often include the locks going up against the most common type of break in for that lock. 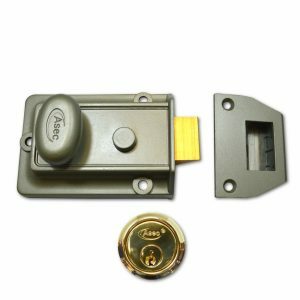 BS3621 – This covers all mortise and cylinder rim locks that use keys on both sides of the lock to lock and unlock the bolt. This standard ensures that without the key these locks are safe against burglars. BS8621 – This covers all locks that open with a key on the outside but are able to be unlocked from the inside, which makes this standard very important to flats and apartment blocks where this is the only way of ensuring everyone can escape the building during a fire. BS10621 – This covers all locks that can only be locked and unlocked with a key from the outside but also may be able to be opened on the inside at the owners discretion. 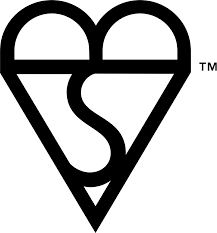 That’s all you need to know about the British Standards to make sure your insurance companies can’t refuse to cover you, if you ever get burgled. Here at locksmith Manchester we’re here to save you time and money. A lot of businesses say these things but locksmith Manchester is actively making the service we provide better, easier to use, and more helpful every week. One of the ways we do this is to talk to our trained phone operators about what sorts of things keep getting asked of them while speaking to the customers. Locksmith Manchester then take this information and then write about it on our website. This is in the hopes that we can save your time, hopefully some people will be able to get their questions answered by just reading our site. This could save you time on calling us and let you get back on with your day with the new found information. It’s not that we don’t want to answer your calls or questions, it’s just going back to us trying to save you the most time and the most money that we possibly can. 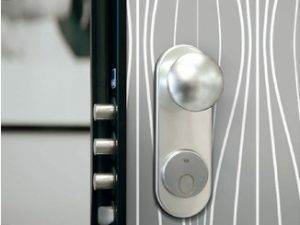 One of the most common questions that we get from people that call us up with little or no experience using a locksmith is “when you’re letting me back in from a lock out will there be any damage to my door?” The simple answer to that question is no, locksmith Manchester will try to get you in anyway we can before we even consider breaking the lock, and that’s the lock only never any damage to the door because we’re skilled locksmiths and that’s not required when you know how to break a lock properly. Call us now and speak to one of our trained advisors about what we do! When people think of security for their home or business premises, there’s no doubt that their first thought will be of a key and a lock. After all, this has been the traditional method of securing our homes and places of business for centuries and with good reason! The reason this system of security has proved to be so popular is because of how effective it is. However, technological advancements in the security market now means that there is far more on offer compared to the last few decades. Of course, what is actually available to you highly depends on your premises and the doors which act as the access points. As such, it is worthwhile understanding the basics of your premises before seeking the advice of a professional locksmith Manchester. What has been noticeable in recent years is the needs of small business owners and what they’ve required from a full-service locksmith Manchester. While shops and warehouses tend to have locking systems which are similar to the ones we use on our homes, the locking mechanisms for offices can vary more and as such, there’s more that an expert locksmith Manchester can recommend. In particular, electric strikes are an excellent option for small business owners who may together, share portions of an office space. You have most likely seen these on the doors of flats which have a shared internal space, such as a hallway. With the addition of a telecom and a buzzer, someone in a flat can let you in without having to manually open the door themselves. When thought about in the context of running a small business, this gives you total control over who enters your business. This is perfect if you work in a relatively open building and expect frequent deliveries. Instead of letting anyone walk in, you can simply “buzz” the people in that you want to let in. We also recommend electromagnetic locks which, when programmed with an electric signalling device, can provide a similar type of security with even greater locking strength. The benefit of both these methods is that they can also be programmed with either a key card or keypad. This means that the door won’t require a keyhole. This means you no longer have to worry about losing your keys or the threat of someone picking your lock. By investing in smart locks, you can better protect your business for the future. Our doors and phones are always open so if this is something you would be interested in discussing, you should call your locksmith Manchester team today. Most locksmiths will tell you that work can be split mainly between work on commercial premises and residential addresses. Unlike the latter, the former can prove difficult to an amateur locksmith starting out as it requires a deft hand and an understanding of the security needs of a great deal of premises. 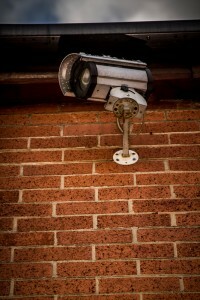 What security a commercial property may need depends on a number of factors. Of course, location can never be underestimated but primarily it’s important to recognise the different types of commercial properties which exist. Over the years your locksmith Manchester has carried out work at warehouses, factories and office blocks to name just a few examples. If you’ve ever worked for multiple businesses in different industries, you’d remember that there are a whole host of different doors and a whole host of different locking mechanisms. As a specialist commercial locksmith Manchester, we’ve even got experience working on self-locking fridge doors in restaurants and shutters on the fronts of stores! While our work as a commercial locksmith Manchester is something we take pride in, we’re even more proud of our commitment to helping budding local businesses. Whilst your locksmith Manchester doesn’t discriminate in who it helps, we do take particular pride in assisting small local businesses. We’re with you from the outset and can conduct a personalised security survey of your new commercial premises to help you assess any potential weaknesses. From there, we can provide recommendations of the services we can offer. Thankfully for all small, local businesses who employ the services of their locksmith Manchester, we provide high-quality installations of all types of security mechanisms. That means it doesn’t matter whether you’re after changing your locking mechanisms or installing new alarm or CCTV systems, we can help you with everything. What’s more, we understand the needs of customer-facing businesses too. Therefore, if you’ve started a new shop on the high street, it’s likely you’ll need lockers for your staff to store their belongings and a security safe to store the day’s takings. Your locksmith Manchester is there for your small, local businesses every step of the way. As the lifeblood of the local economy, we take pride in doing everything we can to ensure the security of the local businesses in the city and the surrounding areas. Here at Locksmith Manchester, we’re serious about home security and we think more people should be too. The basis for this analysis is the fact that a lot of the jobs we attend are break ins and the most common thing said to our workers is, “I wish I’d made it harder for them.” So now we’re on a mission to spread awareness about home security and how to improve yours. We think most people are thrown off by the words home security because of the movies leading us to believe that a home security system is only good if you’re a villain and people don’t think they’ll be able to afford the lasers or the shark tank. Stop! Home security doesn’t have to be expensive. in fact we can show you some of the cheapest tips and tricks to securing your home. First of all you must know that home security doesn’t start inside your home, it actually starts in your garden, we think of your garden as a bridge that connects the outside world to your home, and you should make that bridge full of warnings to potential intruders. 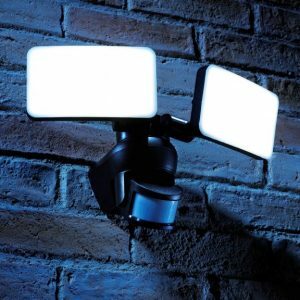 We recommend a motion sensor light if you’re working to a budget, you can find an external light with a motion sensor in your local hardware store for reasonably cheap. Secondly we’d recommend checking the materials of your door and the types of locks on those doors, and then taking this information and doing some research into the most common type of break in associated with that lock and material door. for instance if you have a UPVC door you’re most at risk of lock snapping, so check if you have anti snap locks and if you don’t then install them and you could save yourself some serious money, and your belongings. Home security should be conducted in layers. The first layer should be the actual security itself which locks your front door. If you have a wooden front door, your locksmith Manchester will always recommends you have a 5-lever mortise deadlock as standard. In fact, this should ideally be combined with a latch lock, like those produced by Yale. If you have a UPVC door, your property should have a British Standard anti-bump, anti-snap lock to guarantee maximum security. 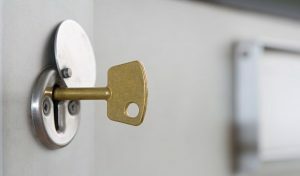 If you’re unsure what security your property currently has, a quick call to your friendly locksmith Manchester will ensure an accurate diagnosis. However, this can’t guarantee the security of your property 100% of the time. After all, it can be difficult to stop a determined burglar and there may be other ways into your property. As such, it is necessary to ensure that any potential criminal doesn’t even consider targeting your home in the first place. Thankfully, your expert locksmith Manchester has a number of hints and tips which you can bear in mind to protect your property. When burglars go past properties the first thing they examine is how security conscious the occupants may be. They will look for how many locks you have and their quality. They’ll also look for the presence of any security lighting or alarms. After all, burglars don’t want to target a property which will result in attention being drawn to them. It may be surprising, but it will also be small things. For example, if you have a gate to your property, interviews with former burglars suggest that leaving it open is a shining beacon that the occupants don’t take their security properly. It may also seem obvious, but what you do and don’t leave on display can influence your home security. 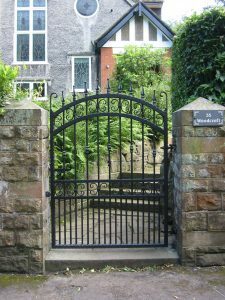 Your locksmith Manchester can’t begin to recount the number of times one of our expert lock engineers has walked past properties in local neighbourhoods and seen properties with tools left out, our garden furniture on display which someone could easily climb on. In fact, even seeing properties with items of high worth clearly on display from the street! The take away message from your expert locksmith Manchester is that you should take your security seriously. Think like a burglar and your property shall be safer for it. Here at Manchester locksmith we don’t think we’e been enjoying the heatwave as much as everyone else seems to be enjoying it, the pubs are packed and everyone seems happier in general. While we don’t mind the effects it’s having on other people our job gets much much harder in this sort of heat, but what does that mean? Does it mean we’re going to take any time off and wait for it to pass? No we’re open for business as usual, our service relies on us being around 24/7 365 days a year no matter the weather, if there’s someone who needs a locksmith Manchester team in Manchester or the surrounding areas, we’ll be there when they need us. Well what about charging extra for having to work in this extreme heat? Absolutely not we feel like this would be the equivalent of charging more for when it’s raining, and we’d never do that business as usual ad that means our prices stay the same too. Locksmith Manchester is happy to offer a simple easy to use service that’s quick and won’t add any stress to an already stressful lock out situation. Call today and speak to one of our trained advisors, and see what we can do for you, locksmith Manchester, any time any weather we’ll be here when you need us. 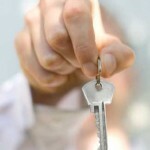 Can locksmith Manchester provide help for new homeowners? Whether you grew up here or have recently moved, you have the luxury of living in one of the best cities in the UK. It’s even more fantastic when you become a new homeowner for the first time. However, whilst this is of course a time for celebration, it also carries an increase in responsibility from when you previously rented someone else’s property. Unsurprisingly, many people call us regularly asking for tips and advice of what they should do when they move property for the first time to ensure their home is secure. The most important thing you can do when you first move home is ensure that you have the locks changed. This is not meant to be a scare tactic, but more a means of ensuring you get into a good habit for every time you move home. Your local locksmith Manchester likes to remind you that you can never be certain when the locks on your property were last changed. It’s with that in mind that it is good to change the locks. Of course, with a professional, helpful locksmith Manchester this doesn’t have to be a huge expense. 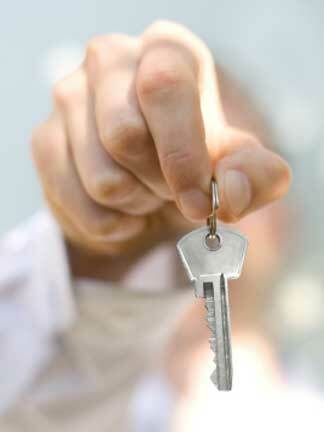 We offer discount to first time home owners to ensure the process runs as smoothly as possible. The next thing to do is conduct a security survey of your property. You may have done this before you bought the house, but it’s still worth doing now in case things have changed. In fact, you locksmith Manchester team have conducted many security surveys before and can offer you their services should you require them. Otherwise, we recommend that you look at the outside of your house and think like a burglar. If you think there’s anything you could use to climb your house, then make sure it’s hidden away, removed or hard to get to. If there are any locks exposed or doors loose, make sure they’re tightened and secured. You always need to be one step ahead and with a locksmith Manchester, you will always be in safe hands. Residents of Manchester know more than most in cities across the UK, the damaging impact of the rise in criminal activity across the UK in recent years. We’re not sure exactly what the cause is, but the last few years has definitely seen a spike in calls from customers asking about potential security upgrades for their property. Of particular concern is those with UPVC doors to their property. They’ve heard the reports of lock snapping by burglars and want to know what they can do to protect themselves against such activity. 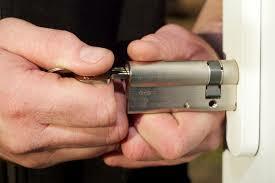 The main solution recommend by your locksmith Manchester is to invest in anti-snap, anti-bump eurocylinder locks. These are supplied as standard by your locksmith Manchester team unless the customer really cannot meet the budget. This is very rarely the case as most effective security is more affordable than ever before. We also believe that a price should not be put on keeping your property secure when the effects of not doing so are potentially disastrous. Our expert lock engineers have also begun to recommend local residents take a leaf out of the book of business owners and invest in a safe. It doesn’t matter what exact type of property a commercial premises may be, you can safely guarantee that locked away in the manager’s office is a safe to secure the day’s takings and any other important documents belonging to the business. This is an important consideration for homeowners too. Over the last few years, your locksmith Manchester has invested heavily in training staff to be able to safely supply, install and maintain a wide variety of safes to meet any budget or security needs. All safes are burglar and fire proof meaning you can be sure that should disaster strike, your most prized valuables and documents will be kept safe. For more information, call one of our friendly lock technicians today. Here at Locksmith Manchester, customer service is almost as important if not just as important as our locksmith work, that’s why instead of just rambling on for three pages about our ethos and the company policies, we’re just going to get straight to the point. We think how you treat your customers is directly linked to how long your business stays a business. We think that it’s absolutely shocking how some companies, especially bigger ones are able to repeatedly able to mistreat their customers over and over again and not feel the repercussions. With some companies even charging people based on where they live. We think this is highly unprofessional and would never wish to work in this way. That’s why instead of rambling on for 3 pages about how seriously we take customer service we’ll just tell you how we’re actively making an effort to make customer service one of our top priorities. With no call out fees and a 24/7 365 day a year phone line we’re sure that you’ll find every business encounter with us painless and stress free. There’s no automated robot and all of our advisors are trained and know what they’re talking about, just a little way we like to say thank you to the people of Manchester for their continued support over the last 20 years. Once you have decided on upgrading your security you need to be sure you can speak to an expert security advisor. After all, with so many options and choices for lock upgrades and new security installations, it can often be difficult knowing where to start. The security market is constantly shifting and changing, so a local security expert needs to keep up to date with all the latest developments. What can often be more confusing is that a local security expert Manchester can now provide so much more for your property. The locksmith Manchester is a fully-fledged home security provider capable of installing high-tech security systems such as CCTV and alarm systems which are perfectly installed on your property. 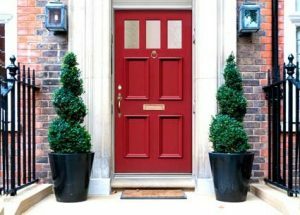 If you are unsure of the security upgrades you may require, the local locksmith Manchester can carry out a full security survey of your property in order to determine the appropriate security options available for your home. All works are discussed fully to enable you to determine which lock upgrade is most suitable for your home and with your budget. Thankfully, home security no longer has to break the bank. Affordability has always been at the heart of all work carried out by the locksmith Manchester and increased competition between lock manufacturers has driven the prices of products down whilst still maintaining the quality of the product. 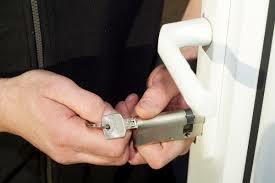 Locksmith Manchester also prioritises effective security. Just because there are cheaper products does not mean that the professional team skimp on quality. All locks installed, no matter what your budget, will always be British Standard. This means that not only will you have a effective lock installations, but you will have the minimum level of security usually required by home insurance providers. If you are unsure about what is required by your home insurance policy, a diligent locksmith Manchester can sift through your documentation to ensure that any installation validates your insurance policy so that in the worst case scenario, you are adequately protected. Can a high security home be made to look stylish with locksmith Manchester installers? Presentation is a point often pressed, and with validity. It matters, not only to your feeling of a home, but also to how secure it looks from the eyes of a burglar. If fears of making your home or place of business look like a prison is stopping you from contacting a locksmith Manchester now, please think no more of it. Lift the receiver and dial the number for skilled and style aware locksmith Manchester specialists now. Who can help your security to the high standard it needs to be in today’s hardened world of risk. As well as to ensure that it looks good. Outward looks is to an understanding locksmith Manchester security professional as important as making sure that you get what you are after at a competitive price. In other words, you as the customer comes first. 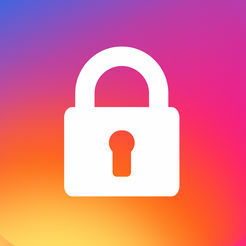 You lock needs, and security features will always be fulfilled to please security requirements for the area, your insurance company and of course you. A conversation about how to upgrade your security to fit your needs, to keep you safe, to look good at the same time can be had with technicians in locksmith Manchester areas now. The telephone number is to be found above and we are convinced that if you give us a try, you’ll soon find how wonderful and encompassing our full range of services are. Every job, performed with dedication, to taste and perfection with skilled and trained locksmith Manchester technicians at times that suit you. Lock, security, home security, business security. Alarms, security additions and upgrades. All available to you right now. Feel free to call. ease think no more of it. Lift the receiver and dial the number for skilled and style aware locksmith Manchester specialists now. Who can help your security to the high standard it needs to be in today’s hardened world of risk. As well as to ensure that it looks good. Get the full use of great trained and skilled professionals though a simple phone call by using the number above. With the right service you’ll have everything you need, easy, quick and without any additional hassle for you. You don’t even have to think about when you need your locks checked. With us you can book in for regular lock checks at your chosen interval. And though the help of skilled locksmith Manchester technicians, no time will be wasted. Alignment and precision installation with specialist tools in the cases that require it is available with us. Having a quick and easy to access locksmith Manchester professional is to keep yourself safe from lockout situations and other lock emergencies as well. Lock maintenance, checks and home insurance lock validation you can get locally and without complication. Locksmith Manchester professionals will always care for your security. And prioritise your emergency should you be in a difficult situation. In the middle of the night, or during the day. You can book in for what you need. Installation work when it comes to locks should always be handled by a skilled technician with experience. Without proper installation vital aspects may be forgotten. And due to it the security may be heavily diminished. Speak to a locksmith Manchester professional on the number above right now to find out more details about your lock installation now. 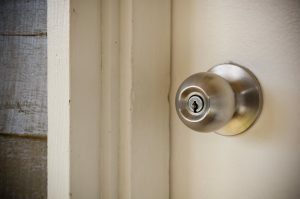 Ring at any hour and a locksmith Manchester service who understands your emergency will always be quick to the rescue. If needed. Booking in for a lock survey or inspection can be done at your convenience, and you can trust that our prices will be both competitive and affordable. With a rise in criminal activity across the UK, especially in Manchester, this locksmith Manchester has noticed that home insurance providers are getting a lot stricter in their requirements for a valid home insurance policy. Most properties, unless they are a (relatively) new build, have a wooden front door. This is important to note when assessing your home security as it lets you know the security options that are available to you. Most of us understand what a Yale night latch lock looks like. In fact, most of us have them on our current properties. The fact they’re cheap to produce and easy to install means that they can be found on most properties. However, the convenience does come at a security cost if left in isolation, and this has been reflected in the attitude of home insurance providers. Most insurers now not only require the presence of a mortise lock, but a 5 lever British Standard one. Whether you are told you require a sash lock or deadlock does not matter, as they are both a form of mortise with only slight differences, usually dependent on aesthetics. This type of lock is supplied as standard by your locksmith Manchester and provides effective home security. The 5 levers are the number which need to be turned by the key in the lock, while the British Standard insignia also tells you about the extra security mechanisms present in the lock. This means your mortise lock has an longer bolt throw, a security curtain which protects the levers from outside interference, and an anti-drill plate. If you are unsure about what is required by your home insurance policy, a helpful locksmith Manchester will be more than happy to sift through any documentation to ensure we can complete an installation which protects both your home and your insurance policy. Like other parts of the UK, Manchester has seen the beginnings of an increased crime-wave spreading across the city. With this has come increased calls to your trusted locksmith Manchester enquiring about what can be done to protect homes further. It is vital that the importance of this is understood. This is where we protect our family and sentimental items and adequate protection can help relieve any unnecessary anxiety and stress which may be detrimental to health. So for a better well-being, it is important you have appropriate security on your property. The next worry for customers tends to be how they are going to be able to afford it. While we believe that you shouldn’t put a price on security, we also understand that not everyone can pay over the odds which is why we ensure all our works are cost-effective. We don’t believe anyone should be priced out of effective home security and we work hard to ensure this. The best place to start when considering a security upgrade is your front door. This is often the most cost-effective place to start too as very simple upgrades can be made to any door to add a further layer of protection. Any door can be enhanced by installing a key chain. These not only protect you from unwanted visitors in normal scenarios, but they also add a deterrent to criminals trying to break and enter into your house. With your UPVC doors people often think that because they have an intricate locking mechanism, they must be secure. 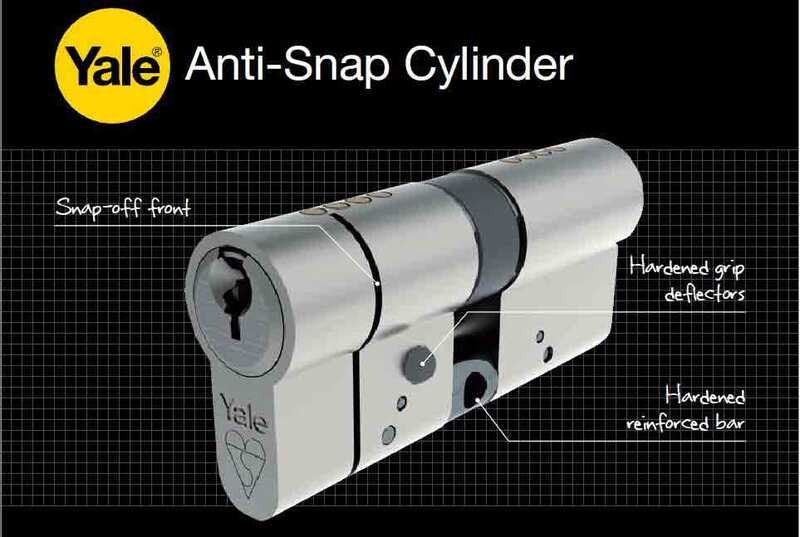 However, unless you have an anti-snap euro-cylinder installed, it’s relatively simple for a criminal to snap the lock and easily enter your property. It’s for this reason that Manchester’s Locksmiths only use 3 Star British Standard anti-snap locks for all installations. With wooden doors, we always recommend having a mortise lock as well as a Yale lock if your property doesn’t already have one. If it does, we then like to recommend anti-thrust plates too. These are effectively a metal strip that covers that gap between your door and the door frame and prevents anyone from sticking any tools in the door to pry it open. All these methods and more are cost-effective and come with quick installation times. For more information, make sure you call one of our friendly locksmiths Manchester today. Here at locksmith Manchester, we appreciate that you probably don’t have the time to be waiting outside the front of your house all day waiting for a locksmith to come and let you in, and we also know the longer you wait the the more irritating it becomes knowing you’re locked out, and sometimes the biggest struggle can be finding someone to come out and let you back in, but not only that but someone who’s near to you, knows how to replace your lock if required and won’t charge you an arm and a leg in the process. Well, locksmith Manchester has some good news for you if you’re locked out in the Manchester or surrounding areas, because we cover the whole of Manchester 365 days of the year against any type of lock out, and we’ll be able to get you someone to let you back in your home in the same day. Locksmith Manchester has fast response times and the is most simple and easy to use service in Manchester. Locksmith Manchester just want to make everything as simple as it can be for the people of Manchester who need our services. This starts with having fully trained office staff who will be able to quote you a price on your lock out within a matter of seconds from your call, and if you’re happy with the quote we’ll send someone out to you right away, and you’ll be in in no time. Call locksmith Manchester today and see if we can’t get you back up and running with your day! 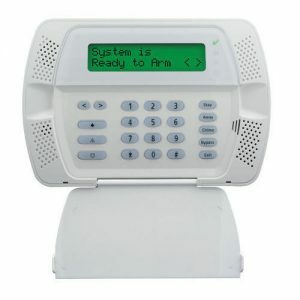 Is a burglar alarm something I should buy? Walking down the streets today you might encounter the little, often white and flat panels which indicate that the building has a security alarm installed. The Manchester police will surely suggest an a alarm to keep thieves away. If this has made you think about your own security. If it has you asking the question if a burglar alarm is something you should buy. It brings us, as industry professionals, a tinge of joy. This is because it means that you are becoming more aware of your own security. Home and business security awareness is something that we both endorse and recommend. 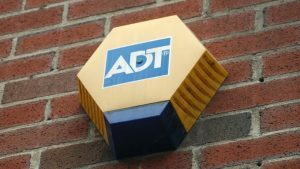 On the question of if a burglar alarm is something you should buy we can only say that it’s something we highly recommend as a second step to good security. The first one being up to date high security locks for your doors and windows. The deterring effect of the visible panel outside the house also reduces risk, and homes fitted with a burglar alarm are less likely to be targeted. The relative cost involved is affordable and in the minds of our technicians a venture well worth the investment. The most common type of burglar alarm that is bought from us is a bells only type which will simply sound a sonorous bell if set off. However if you are thinking about having a burglar alarm installed, there are many models which come with features such as direct notification and remote access which may be worth glance. 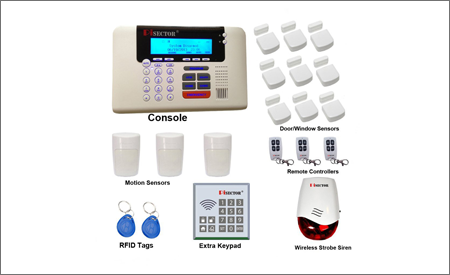 The additional cost is small relative the many and great benefits of a high security alarm, monitoring and notification system. A burglar alarm is something that you should buy, especially if specified by any insurance policy that you have. If you are confused and don’t know what to get to keep in line with your policy. Ringing the local experts available here for a chat about your burglar alarm upgrade or installation is something you can do at any time. Let us care for your business security and leave head space for your mind to focus on the things that matter the most. By leaving your security concerns in the hands of a trusted specialist on a regular basis. You can think about the more important matters of how to grow your business, how to expand and how to make it bigger in your area and in the world. Local locksmith Manchester are close, ready at all hours and happy to provide you with the customised security assistance you need. Regular security checks are especially important for businesses which hold stock on site or which use expensive equipment and technologies on site which may be attractive to unwelcome burglars. If you have taken out an insurance policy it may even require you to have professional lock and security surveys performed by certified lock service providers. Speak to the friendly, fast and business security specialists at locksmith Manchester now and start your journey. The one that ends in your best security solution. And the regular security inspections which keep your features in top condition. At all times. Business security features such as security bar installations, shutters, safes, central locking systems and more are available with our skilled team. All you have to do is call us now and have an easy conversation about what you need. Merited, well reputed, and trusted, our locksmith Manchester crew brings what you need with a smile. Our passion is to keep your business or your home secure. Home or business security made easy for you, so that you can put your mind to life’s other challenges and matters. A simple and not often discussed security action that you can take to improve on the security wherever you are is that of the lock and security check. By letting a professional have a quick and close lock at all the locks present in your home or at your workplace, by going over the risks involved with each entry point to the building in detail and by having a keen eye for detail and spotting security risks, you can put yourself outside of the sight-line for any burglar or thief who are looking at your building with interest. Averting the eyes of these malicious parties is in your greatest interest, and if you get in touch with locksmith Manchester now, you can find the help you need to build the security and defence you need against such eyes. Security and lock checks are quickly performed by those who have been in the industry for as long as we have. If you want to call and ask us about the security inspections we perform in detail, feel free to do so at any time, and if you simply want to call and book in, of course you can do that as well. We are here at all hours of every day, to make sure that your emergency lockout situation can be resolved quickly, also meaning that you can call now to book, in that long overdue check that your home or business premises is in need of. Just like your home, protecting your business is important. However, unlike domestic properties, protecting your commercial property can often prove difficult due to the varying nature of them. When we think of commercial properties, we usually think of an office block. However, business premises also include shops found on the high-street and warehouses. Each property type has special security requirements and each property type needs a locksmith capable of understanding this in order to provide appropriate security solutions. Our highly-trained locksmiths are capable of providing a wide range of installations. Whether it’s installing CCTV security systems at your office or repairing and installing shutters for your shop on the high-street. With years of experience, our expert Manchester locksmiths are capable of assisting you with any commercial security matters you may have. We provide our security services for companies of all sizes and we are always more than happy to provide free advice, as well as working on upgrades and new installations for competitive prices. While it is important to protect your premises from people on the outside, it’s also important to protect your property that’s on the inside. 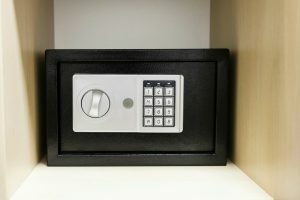 Your Manchester locksmith not only stocks a wide range of safes for you to keep the day’s takings, but also has the latest tools and equipment to ensure efficient repairs for both mechanical and electronic safe systems. Quick arrival in the cases where emergency access is needed comes as a given for the guys there, and with great understanding of your stressful lockout situation, we prioritise your needs and rushes to you aid. From having met with many people in left in stressful and difficult circumstances we know what can be at stake in these situations. You may have a plane or train to catch, one which will not wait due to the little catastrophe you are now faced with, the wind may have slammed the door behind you as you took the garbage out leaving your infant inside unattended, or you may already face health issues which are severely worsened by being locked out of your home. These are just a few of the many scenarios which this experienced locksmith Manchester have come across, which all add to the strong compassion we feel for those in such a difficult situation. If you are currently facing such a challenge, make sure that you get in touch with the work force now, and help will be on the way rapidly. From the moment of taking your call until we arrive on site with you is among the fastest of the locksmith Manchester emergency lockout service providers in the area, and our good reputation speak also of the high priority we place on people and being able to help during hard times. Call us now and find the emergency help you need, or ask for a quote for the job you require. We are flexible, fast and trusted by our many long term customers who can testify to our dedication to you and your lock and security needs. Coming to your aid fast at times of panic and despair is something that the lovely men and women here does gladly, not only to ensure that we have a full range of services, but to ensure that those living in our neck of the woods never have to feel strung out and left outside in the cold. We understand how important it is with fast service in this day and age where everything seems to be moving at a higher pace than just a few decades ago, and with busy lives comes a greater risk for anxiety and stress related symptoms which are negative on your mental health. 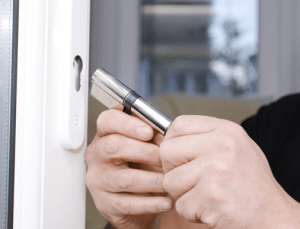 Speaking to a trained locksmith Manchester can also help you find a better situation for your home or workplace, as far as a security standing goes, and the staff here also knows that many suffer worries due to lack of a good security situation without realising it. A large number of our customers who we installed new locks and security systems for reported back happily to us that they felt much safer in their homes, and many of them said it helped them sleep at night, knowing that they were not only better protected physically, but also financially. If you are curious to find out how this diligent locksmith Manchester can help improve on your security, or if you are simply in an urgent need at the present, ensure that you give us a call now. It’s never too soon to have a look over your own situation and brush up on the parts which need it. With us your renewal will be at affordable rates and using only high quality products to keep you well protected. Of course, a range of other services is also available at a dial of our number, key cutting, security checks, maintenance, repair and much more. Come to us to find out what a good long term customer and service relationship is all about by experiencing the excellent and friendly service we provide. If it’s blocked drains that need to be unblocked then why not call our recommended friends by following the link. At times the workmen here is surprised by the lack of simple security measures which can be implemented at virtually no cost in any regular household. It’s natural that a passionate work group which specialises in home security would think such things, however that is no excuse for the fact. As in there are plenty of ways in which you can become more secure at home without breaking the bank, and with a point so pressing in the present such as security, there are simply no good reasons to remain passive in the matter. Get in touch with your great locksmith Manchester now to find out how you can improve on your home security situation without having to spend a fortune. With individually tailored affordable home security packages your locksmith Manchester can no doubt help you get up to a decent standard of security, which will both cover you financially as well as keep you physically well protected against any attack. It’s not the intention of this locksmith Manchester to alarm you, however with crime rates always in flux, there is no better way to keep secure than to get in touch with an expert in the field. You can get in touch with the flexible and fast at any time, and with a quick turn around you will be up and running in a much more secure way than ever before. Call with your questions and your needs today, your free, clear and competitive quote is waiting for you. Making your day to day more secure is the mission of the genuine boys of caring individuals who make up our service. And by coming to us to have your needs satisfied you will be not only be getting top quality service, conveniently and at a competitive price, but you will also be able to enjoy the benefits of great security products which come from a long row of trials and test. Our products are from known and relied upon manufacturers which time and time again have proven their high product quality in the items they supply. There are many new innovative solutions hitting the industry market today, and your locksmith Manchester service are always on the lookout for great ideas and great deals, however when it comes to such an important feature as the security of your business or your home hearing the experts and seeing what has been the most efficient in the past hold great wisdom in security building. By combining new and old your locksmith Manchester service provides you with solutions which are both current, solid from a historical point of view and to your preference. For insight and understanding to anyone’s home or business security situation it’s important not only to look at the physical aspects of area and the building. But also to take into account the view of the users who will be in contact with any security system installed as often as every day. This of course is a strong driver to why this locksmith Manchester always makes sure that your view, as the customer and as the user, is taken into account. 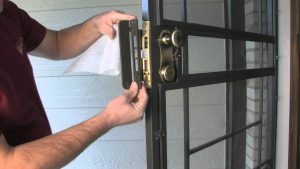 Giving deep consideration to the user’s preferences and working to find a custom solution to fit both your needs as well as reach as high as possible on the security standards scale with the budget you have in mind is something that the caring locksmith Manchester here does as a standard practice. We understand how important it is to have depth and relevant insight into your personal security situation, to find the right solution for you. You can call us at any time if there is anything on your mind concerning keys, locks or security. And with the hard working locksmith Manchester here, you can expect the phone to be answered any time you give us a ring. 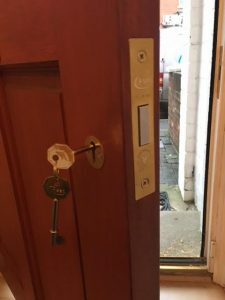 With the labourers here you can be sure to get the services you require at high standards, great flexibility and of course the friendliness which has earned this locksmith Manchester their great reputation for keeping prosperous and beneficial long term customer relationships. Call now to find the services and information you need. There are a wide range of key suppliers on the current industry market, and making sure that you get high quality keys cut by a professional locksmith Manchester is something which we can’t stress the importance of enough. This is simply so that you can avoid the issues that come with low quality keys which can cause damage to your locks, especially if used as regular as several times a day. So if you are in need of getting spare keys cut, why not get in touch with a locksmith Manchester who knows the market, and knows what distinguishes a poorly made key and a strong, lasting and high quality key cut to perfection. 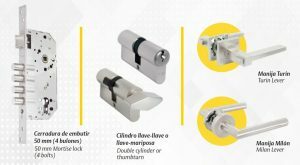 So to make sure that you best avoid the heightened risk of damage to your lock, or that you key snaps inside of the lock due to the weak material it’s been made out of causing you a potential emergency scenario where you cannot open or close the lock, come to a locksmith Manchester key cutter who is renowned for quality and service. Being dedicated to customers you can rest assured knowing that your best interests is always kept in mind, and should you for any reason land in that difficult circumstance of being locked out, or being unable to secure the lock to your home or business premises you can always call our emergency lockout service. And with a locksmith Manchester emergency lockout service which is always ready to help you in times of need, your stress and anxiety caused by such a situation will also be kept to a minimum. So make sure that you keep our number and call us at any time you need us, the emergency lockout line is always open to ensure that your emergency is resolved as quickly and as smoothly as possible, meaning minimal disruption to your plans. And with a flexible locksmith Manchester, any of your day to day requirements such as lock repairs and replacements can be arranged at a time best suited to you. When you call you will come straight through to me and not a call centre. Direct to your local Locksmith Manchester! I am happy to answer any questions you might have in relation to the service I offer, prices and arrival times. I am established and trusted by all of my customers so you can be certain of the best service and price in the area. Many doors still have the old cylinder locks fitted which present a security weakness. Let Locksmith Manchester upgrade your locks to ensure you have the best security possible for your home, business and commercial premises. We can visit you at a time that is convenient to upgrade your locks at surprisingly low cost. There’s no need to change your doors, let Locksmith Manchester install the latest anti-snap locks to bring your property up to the security levels you deserve. Call now for a quote and book your upgrade today. We are always ready to receive your call and help you. We work 24/7, 365 days all-round the year and are never close. Locksmith Manchester work hard to enable our customers enjoy their life, where one can occasionally forget to carry the keys of home or premises, while rushing to work or in other instances. Locksmith Manchester work every day and efficiently take your calls. We understand your problems and are happy to offer you free advice over call to determine the next course of action. You can decide to choose our service and if needed, Locksmith Manchester can arrange a quick visit to the premise. Quality service to all the customers. The quality of the service is unmatchable and the prices that we offer are unbeatable. We know the key to success because we know the key to all doors. Having worked in this area for many years and gained confidence of our customers. There is no lock that we cannot open and there is no key that we cannot replace. If there is a problem, Locksmith Manchester has a solution. And the solution is only a phone call away. 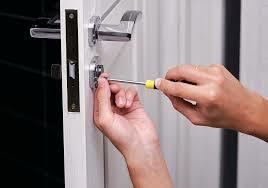 Locksmith Manchester always provides quality services to our customers. We never do nay unnecessary work and will never do anything without your full understanding and prior permission. We aim to maintain the highest levels of customer service at all times. As high quality Locksmith Manchester we have the experience and knowledge to deal with any type of lock. 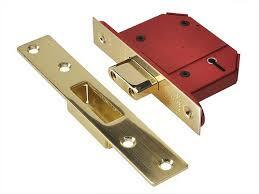 Mortice locks, UPVC doors, door security,catches latches and bolts. There’s not a lock we haven’t seen or can’t open. We have never attended a job and not been able to gain access. So confident in our ability to open anything, we provide a 100% guarantee on our services. If we can’t deal with it then there’s absolutely nothing to pay. Besides supplying and fitting rim locks, mortice locks and deadlocks for external doors, Locksmith Manchester also secures windows and is able to utilize the staff’s many years of professional experience to advise on the best security methods and equipment for your property. Many residential clients do not realize the value of property stored in vulnerable outbuildings. Such property is often valuable both in monetary terms and in terms being tools used by potential intruders. Locksmith Manchester notices time and again during security surveys that outbuildings are left vulnerable. We supply and install a range of locking equipment specifically for such requirements, such as bolts, locking bars and garage locks. Protect every part of your home by contacting Locksmith Manchester today to discuss your requirements. 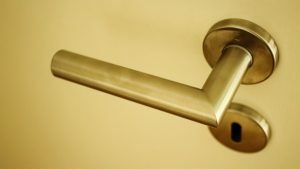 We also provide a swift lock-changing service for customers who have just moved into a new property or where there has been a difficult domestic dispute. Whatever your needs we have it covered! There is a reason We have the best reputation in the local area. Quite simply, we know what the customer wants and we won’t rest until we meet that expectation. Our customers are looking for speed of response, and reliability of both staff and materials. First off, congratulations on your new property! If you’ve recently moved home then you are going to have a number of security concerns and Locksmith Manchester hope to help answer some of those. Firstly, you will want a full rundown of all the current security measures in the house – where the locks are, if there is an alarm system, any hidden safes and the like. This will help you know your new home inside and out, and will lat you feel safe in the knowledge of what you’re working with. The first thing to do is replace all the locks in your home. 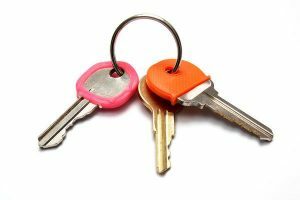 While the previous owners may have given back all their keys, you will never know who they gave a spare key to and thus who might have access to your home without your permission. It is obviously safest to simply change all of your locks and this will make you feel much more comfortable. Smaller locks such as windows may not need to be changed, but again, for maximum security it is best to change these too. Remember, security starts with your locks, and the risk is just not worth it. You will then also want to change the codes for any alarm systems and CCTV systems that come with the property. This ensures that if someone gets in they can’t mute the alarm, which would mean you don’t even realise they’ve broken in until you return home later. It’s also good to follow the more basic security rules, such as not leaving a spare key outside your home – while this seems useful if you lose yours, spare keys are often easy to find and simply let a potential thief walk right into your home. 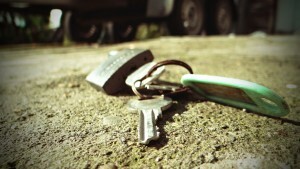 Also ensure that any spare keys you lend out are returned to you, as otherwise the same problem may occur. If you have any further questions or would like to book in a lock change call Locksmith Manchester today. People often think that any security feature they could get for their property will be ugly and unsightly, or that they will have to pay through the roof for something that looks nice and functions well too. That is not the case however, and here at Locksmith Manchester we have a wide range of stunning security solutions for any home or business! Here are some examples of our possible upgrades for your property. If you are looking for a security camera, it doesn’t need to be big, bulky and stark white. We offer a range of more discrete cameras, in black and dark colours, and even have dome cameras – the shiny glass dome is a welcome addition to any room! Locksmith Manchester also often recommend window grilles to homes for their ground floor windows, but are met with protest – “It will make my home look like a prison!” is often heard. However there are some really beautiful, wrought-iron decorative and functional grilles out there – in the same way you can have a bespoke gate, you can have a stunning window grille! These really elevate any property. Speaking of windows, your windows and doors themselves can even be improved – at Locksmith Manchester we have some great doors, with metal inside so they are incredibly secure but look great too. Hard woods, old woods, you name it. If you have a safe, we can offer you an installation that will keep it out of sight, and unobtrusive in your study or office. This helps keep the decor subtle, but the security in full force. You can even update your garden in such a way that it is both visually lovely and also deters thieves – look out for a future post! So for security solutions with style, call Locksmith Manchester today. 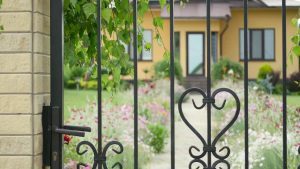 The safety of your home begins in the garden, and you could be using it to a much greater extent in order to protect against any potential thieves in the locksmith Manchester area. With crime rates high, we are facing many burglaries and other issues, so you need to be sure to protect your home both inside and out. We have some great ideas to share with you today. Firstly, never skimp out on an alarm system, and in particular look for one with an external hub that flashes to indicate that the alarm system is running. Visual cues are what burglars look for in a home they are considering robbing, and this is a great deterrent against them. You should also look into getting motion activated lights and CCTV cameras, as these both allow you to see whoever is approaching your home, and to have video evidence in case something goes wrong. Another tip is to use your plants to your advantage. There are many available plants that look lovely, but have an edge to them, such as roses or hawthorns. These can be planted in strategic points around your garden, such as beneath windows and along fences, to help keep away unwanted guests. The sharp thorns will mean that anyone trying to enter your property without your permission will injure themselves and means that anyone who spots these threats will not bother trying to enter your home. You can also plant large hedges instead of fences for a more secure garden perimeter, as hedges are harder to climb and therefore are a more secure option for your home. For any help with defensive gardening, give our passionate Manchester Locksmith team a call now! How do I know what are the best products on the market? How can I improve my security? What is there to learn about high level security? Can you provide some basic background to the business?